Treating Rheumatoid Arthritis (RA) patients to target (T2T) has been shown to result in better outcomes in patients with RA. Surrogate measures of disease activity help decision making in the clinic. The ACR has published recommendations for use in clinical practice. One of the five recommended measures included the Routine Assessment of Patient Index Data with 3 Measures (Rapid-3). The Rapid-3 has been a popular choice for such a purpose. It is a patient questionnaire and requires no provider input or lab data. Also validity has been felt to be “good” and moderate correlations are found with more rigorous but time consuming tools, such as the Clinical Disease Activity Score with 28-jount counts (DAS28). However, the concern remains that this tool measures subjective, not inflammatory components of disease activity. The purpose of this paper is to analyze numerous disease activity measures (DAMs) and lab test, including more “objective” diverse DAMs, to determine whether the RAPID-3 measures predominately inflammatory, or subjective non inflammatory components of disease. Patients at a community based rheumatology clinic undergo disease activity measures (DAMs) and many other clinical and lab assessments on a routine basis as part of the implementation of T2T strategy. These assessments include the disease activity score in 28 joints (DAS28), a power Doppler joint count (UPDJC), which is an objective measurement of hyper vascularization of the synovium, and the 12-multibiomarker disease activity test (MBDA), as well as several other commonly assessed DAMs including the Rapid-3, Health Assessment Questionnaire. (HAQ), etc. The UPDJC includes scoring at six dorsal wrist and six dorsal MCP sites. The average duration of RA in patients at this clinic is > 10 years. Correlations were determined by Pearson’s coefficients, and linear regression models were employed. Correlations between separate components of numerous disease activity measures including two diverse disease activity measures (UPDJC and Vectra DA 12-biomarker test), laboratory studies including phase reactants, serologies, and interleukins versus the Routine Assessment of Patient Index Data with 3 Measures (Rapid-3) clearly shows a complete lack of association with measures of inflammation. Correlations with valid disease activity measures, such as the DAS28, are with the subjective components of the measurement, i.e. patient global, and and painful joint count, not with the objective components. Linear mulitvariate regression analysis demonstrates that the vast majority of the Rapid-3 measure can be explained by two very subjective components, Patient pain, and the HAQ, neither of which pertain to inflammatory processes. The Rapid-3 should not be used in a treat to target strategy in the management of rheumatoid arthritis. 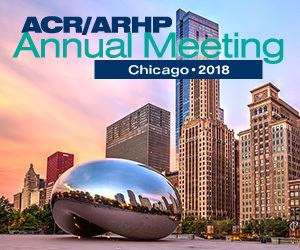 Wiesenhutter C. Diverse Disease Activity Measures Demonstrate That the Routine Assessment of Patient Index Data with 3 Measures (Rapid-3) Assesses Only Non Inflammatory Components of Disease and Should Not be Utilized in a Treat to Target Strategy in Rheumatoid Arthritis [abstract]. Arthritis Rheumatol. 2017; 69 (suppl 10). https://acrabstracts.org/abstract/diverse-disease-activity-measures-demonstrate-that-the-routine-assessment-of-patient-index-data-with-3-measures-rapid-3-assesses-only-non-inflammatory-components-of-disease-and-should-not-be-utilize/. Accessed April 22, 2019.